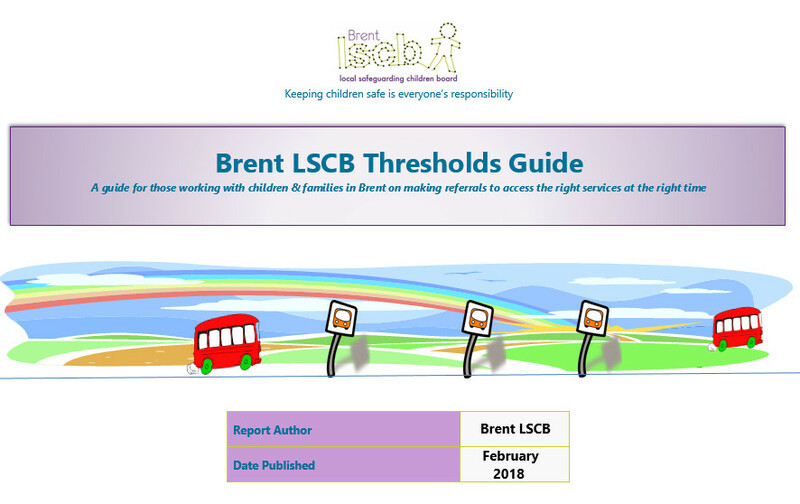 This guide is aimed at all practitioners and volunteers supporting or working with children and/or their families within statutory, voluntary, private or independent organisations in Brent. It aims to help individuals and organisations when making a referral for services to ensure children and families get the right level of support at the right time. Children can move from one threshold level to another – or ‘step up’ or ‘step down’ from levels - as their needs become complex. Children’s needs can change over time and organisations may need to offer support at more than one level of need. To understand the right level of support that a child, and/or their family, needs it is essential to identify the following as a whole at every assessment.